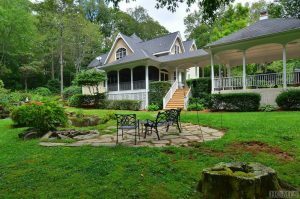 The yard matters when preparing Highlands NC homes for sale. Many things can attribute to a yard not looking its best, including lack of care and pets. Whatever the reason it is wise to get the yard in shape as part of the preparation for listing. Having your Highlands NC home for sale in tip top shape prior to showings is the best way to attract would-be buyers. The yard is a place where people want to spend time. A patchy or unkempt lawn is not inviting. Whether you need to plant seed or lay sod it would make a great impression to potential buyers to see a yard that is well-cared for and in great shape. Outdoor spaces matter for mountain homes. In fact, outdoor living spaces add great appeal to Highlands NC real estate. Buyers are drawn to the area for the lifestyle and natural beauty and this includes spaces around a home. Take the time to make sure your Highlands NC home has great curb appeal and you are one step ahead. Contact me, Lynn Kimball, today to learn more about Highlands NC real estate. I welcome the opportunity to update you on current market conditions while sharing a complementary listing presentation at the same time. Let my knowledge and experience serve as your guide to preparing Highlands NC homes for sale. Click here to read “The Property Brothers Reveal One Thing All Homeowners Should Hide” from realtor.com.